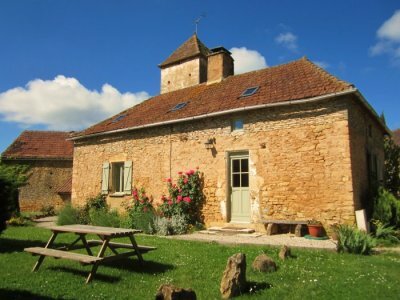 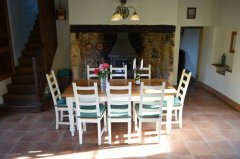 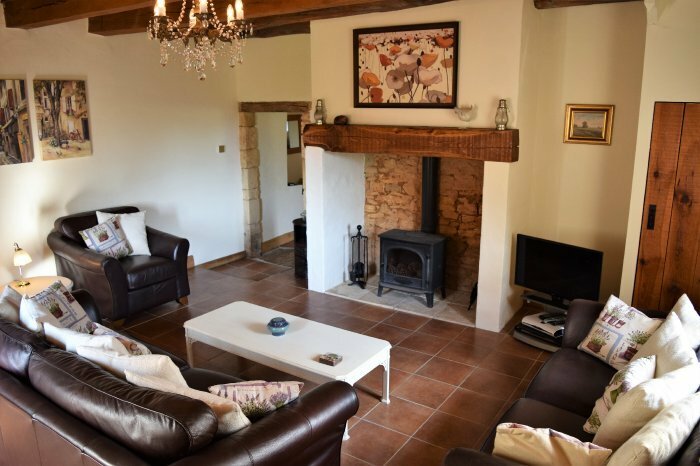 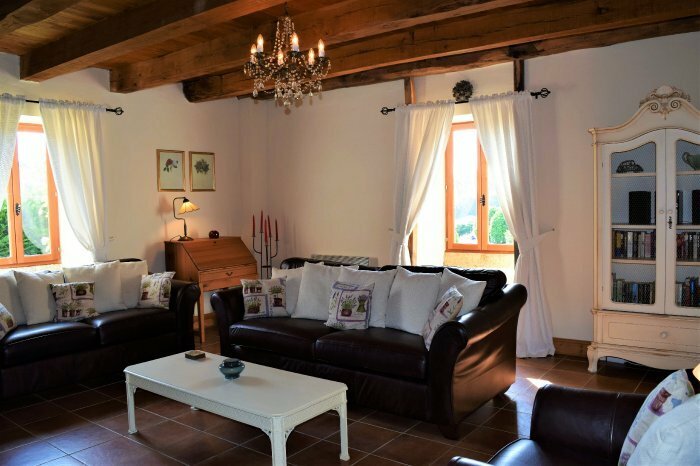 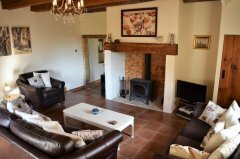 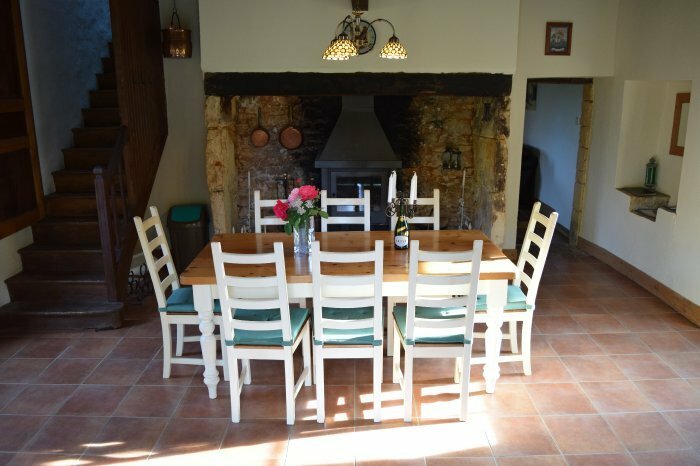 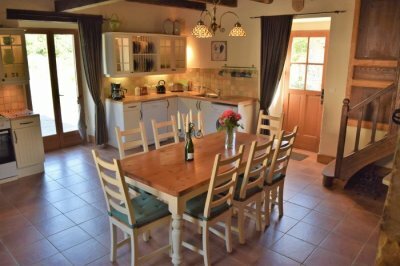 Description of Property: Le Pigeonnier is a detached two storey stone built farmhouse, dating from the 18th century, retaining many original features. 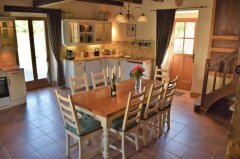 There is a large fully equipped kitchen, and dining area with seating for eight set in front of a huge open fireplace. This leads to a separate lounge with comfortable suite and period furniture with wood-burning stove. 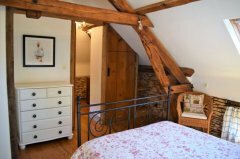 Upstairs you will find one double bedroom with en-suite, one double bedroom with a single bed, one bedroom with 2/3 single beds and family bathroom. 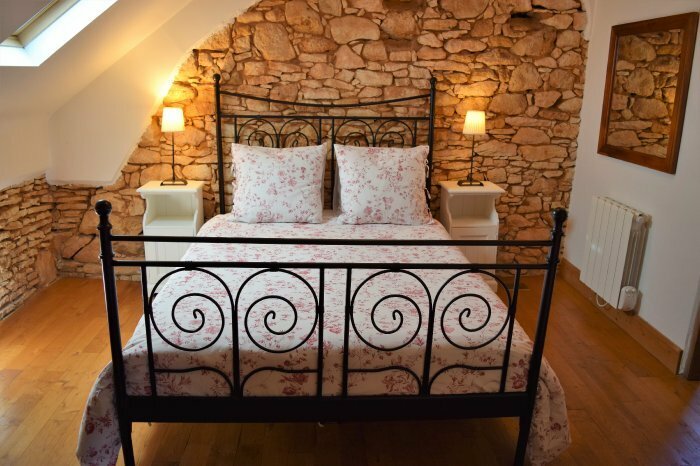 Outside Amenities: There is a private garden area including a large terrace with seating for eight and a barbeque. 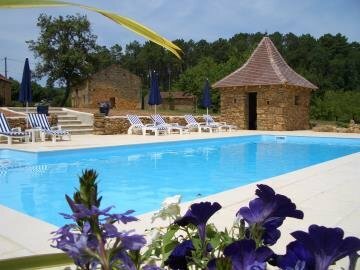 The garden leads to a large swimming pool and terraced area, then on to open pasture. 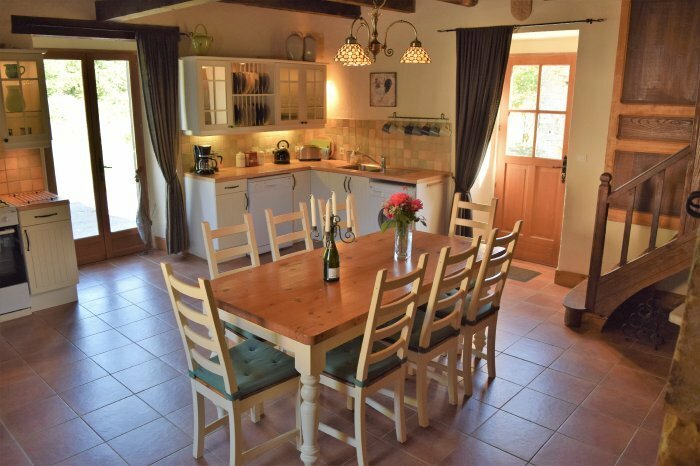 Stunning views of unspoilt woodland on all sides. 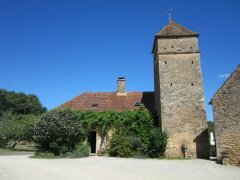 Parking area available. Pets may be allowed by prior agreement. (only accepted with prior arrangement).